There are lots of things to plan and to put into motion when selling your home. 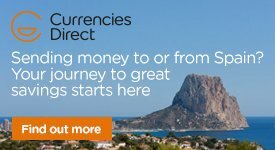 Spanish Property Choice have put together some expert advice to help you sell your house, even in this difficult market we all find ourselves in at the moment. 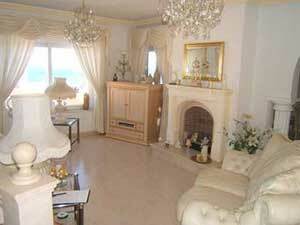 We have been helping people sell their homes here in the Costa Almería for many years now. We know what works and what doesn't work. Make your home feel more open and spacious. Present your garden in the best possible way be it small or large. Maximise the impact of the kitchen in your property. Add kerb appeal as you would have done in the UK. A selection of mirrors in the home are a great way of making it feel more spacious. In small areas use large mirrors, these can be used not only to make the room look longer but also wider. Mirrors are especially successful in hallways where they can be used to manipulate the perception of space by reflecting the light and colour. Use neutral colours throughout the property, on the walls and the same flooring in downstairs spaces to give the impression of space flowing from one room to another. Light coloured floor tiles are more appealing than distracting patterns, these are to be avoided if at all possible. If you do not have a choice then it is worth investing in light large rugs scattered around the house to make the distracting patterns less intrusive. A welcoming kitchen has always been one of the biggest attractions for potential house buyers, the kitchen is most often the heart of the home. Regardless of what budget you may or may not have to present your house, there are a number of simple ways you can maximise its attraction to buyers. Lets be honest replacing your entire kitchen to attract buyers is not always necessary. Often the cost of installing a new one will outweigh the value it will add to your asking price. A kitchen is subject to personal taste, so if it does not appeal to them they will more than likely refit it upon moving in anyway. However if your kitchen is very dated, simple changes can make all the difference. Painting the cupboard doors is a common solution, replacing handles or taps and re-grouting the tiles can all give a new lease of life to a dated kitchen and the cost will be very minimal. I always say clean and de-clutter! After many years in this business I have said this over and over again to our vendors, however I must admit there are very little option sometimes as storage space in a Spanish home is very limited I know. But viewers may even look in your cupboards so ensure shelves are cleaned and all contents are organised, I am sure we all cringe when they head towards the wardrobe. So it may be a good idea to box all your items you don't need during your sale and store them away in one of the many storage facilities within the area like Location-Location warehousing or Orange Box for example. If your cupboards and drawers are overflowing, buyers will assume there is little storage space, which can be off-putting. Any pet bowls should go outside as some potential buyers may not be animal lovers so could be put off by the sight of half eaten pet food. Keep your kitchen work surfaces as clear as possible to enhance the appearance of cleanliness. Flowers, pot pourri or incense burners create a welcoming atmosphere and add a fresh fragrance. Gardens are too often forgotten in the race to make the most of a property, but their condition can sometimes be the deciding factor on value especially if you are lucky to have a large plot of land which many of us do here in Spain. It is common knowledge that a lot of people believe that the decision on whether or not to buy a property is made within the first few moments of viewing it. So the state of the front garden is therefore a prime key consideration for anyone choosing to sell their home. It is best to keep your front garden neat, tidy and easily maintained. Not many of us in Spain have lawns to worry about thank goodness, but make sure the land is weed free, trees are cut back and controlled. You want to generate a sense of welcome, so a well-presented front door, with pots along side it, goes a long way towards this. The back of the house is arguably even more important than the front, as this is where the most work is likely to lie with reference to swimming pool and surrounding areas. Low maintenance areas are invaluable especially with the heat here no one wants to spend hours in the hot sun gardening. Decking, paving, a selection of gravels and also woodchip can be used to differentiate areas of the garden and simplify them, often generating a very desirable 'outside room' space, which will be attractive to buyers and promote the outside living we all enjoy here on those hot summer days and warm winter evenings. Smaller and larger gardens alike will also benefit from the definition of specific areas, BBQ area, pool area, terraced area, garden space for herbs, flowers and vegetables to promote the fact we can be self sufficient here in this wonder part of the world. Those of you with larger plots of land should try to create a sense of flow within the space, which draws the purchasers in and avoids the garden area being perceived as an undefined 'patch' of land. This can be done using well positioned pathways, pots and flowerbeds, maybe leading to the swimming pool and BBQ areas. Any trees and hedges should be kept under control and walls painted and fences maintained. Improving your home in this way is a relatively inexpensive and often an enjoyable method of boosting the value of your property, which in the long run will make it more attractive when the time comes to sell. It can also enhance the general area and consequently the perception of the area and the street as a desirable place to live. This will help to raise house prices all round, thereby keeping both you and your neighbours happy! Selling your home in the current market can be a competitive business, where first impressions certainly do count. In the long light summer evenings, having good 'kerb appeal' is vital. It is vital that your property looks presentable on the outside as well as the inside, as this will be the first thing your viewer will notice. It's makes sense really; just take a step back and try to be objective. Put yourself in the buyers shoes and think about what you would look for and put yourself in their shoes, they are moving to a new country, hot weather and most likely will not speak the language at first, so the less they have to do the better. Try to do all the overdue maintenance jobs that you have been putting off. Is the paintwork flaking? Does the outside of the house need a new lick of paint? Are the walls painted? are there loose tiles or slabs need replacing or sticking back down? Improving all the small things will contribute to the larger picture. Keep the path clear and remove any dead flowers, trees or shrubs. Children's toys should be put away and if possible bins or rubbish bags should be stored away. 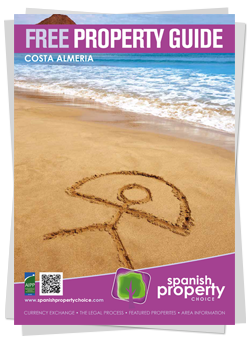 If you have a property for sale in Almería then contact us as we can help you to sell it.